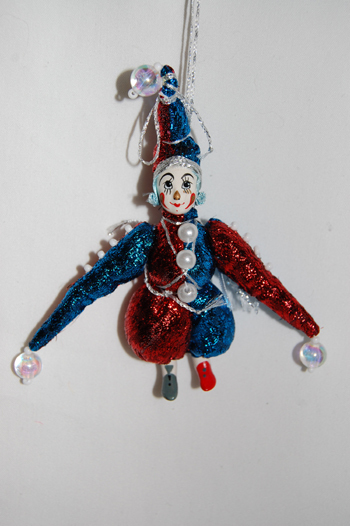 Home / Category Name: Christmas Ornaments, Category Path: Christmas Ornaments / Porcelain Jester Doll 5.5in. Harlequin 5.5in. pendant doll for Christmas tree holiday decorations or to light up any room. Native handmade costume.